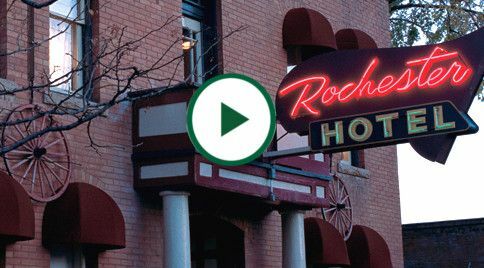 The perfect escape in the heart of bustling downtown Durango, the Leland House and Rochester Hotel are small family-owned historic hotels, renovated by mother-and-son team, Diane Wildfang and Kirk Komick. Whether you’re in town for business or leisure, our downtown hotel’s warm, friendly service and convenient amenities will ensure you have a pleasant and memorable stay in our charming city. Checkout our YouTube page for more great videos! No matter the reason for your visit, our friendly and knowledgeable staff is excited to make your trip to Durango, Colorado an unforgettable journey. Enjoy a truly unique bed and breakfast in Durango, Colorado at our historic hotel. We look forward to welcoming you soon!